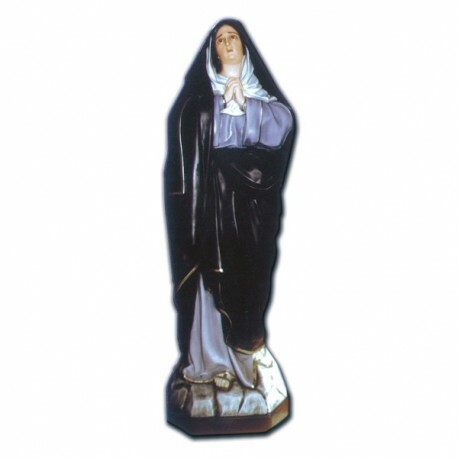 Statue of Our Lady of Sorrows, 160 cm. 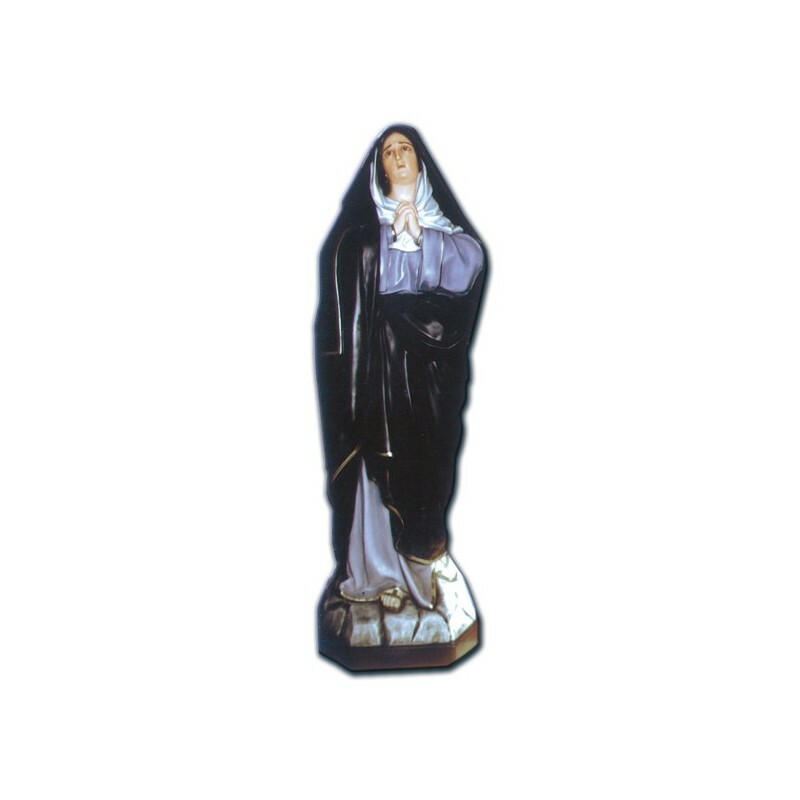 Statue of Our lady of sorrows, of fiberglass cm.160, handmade in Italy. The origins of Our Lady of Sorrows derive from her appearance. On the 15th of August 1233, 7 noble Florentines which belonged to the Laudesi’s Company, went near a Virgin’s image to pray and express their devotion to Mary. Suddenly, the image changed her appearance: her clothing became black, her expression became sad and her eyes became greve for the fratricide hate which divided Florence. The guys were astonished. They tossed their weapons and they went away. After, following a consensual instinct, they wore the black clothing and they created the Company of the Virgin of Sorrows. They went on the Sanario Mount to pray. In the following centuries, they were istituted many religious Associations for the Virgin. Our Lady of Sorrows is also called Our Lady of the Seven Sorrows, which are represented from seven swords in her chest. They represent the seven sorrows wich she had to endure. 1- Simon’s Prophecy: in Lucas Gospel he announces Mary the many difficulties her son would have to bear. 2- The Egypt escape to break out the Erode’s persecution. 3- The loss of Jesus in the temple: when Jesus was 12, Mary and Joseph lost him in the temple. 4- The meeting between Mary and Jesus on the Calvario Mount, during the Via Crucis. 5- Mary stays under the crucifixed Jesus. 6- Mary receives the dead Jesus. 7- Mary sees Jesus in the tomb. In the classical iconography, Our Lady of Sorrows is illustrated with the light blue clothing and with a black veil. Her hands are joined and she had 5 or 7 swords in her chest. She is commemorated on the 15th of September.